Luxury and charm await you in one of the mansion’s spacious suites. 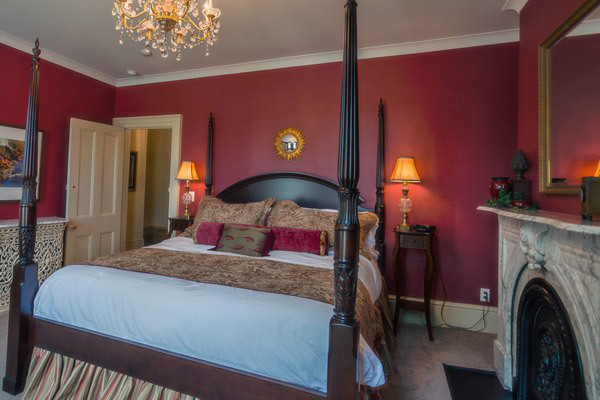 The bedroom boasts a regal four-poster king bed, with large windows overlooking the front gardens. A crystal chandelier adorns the crimson room, which is complemented with an ornamental (non working) marble fireplace, original to the house. 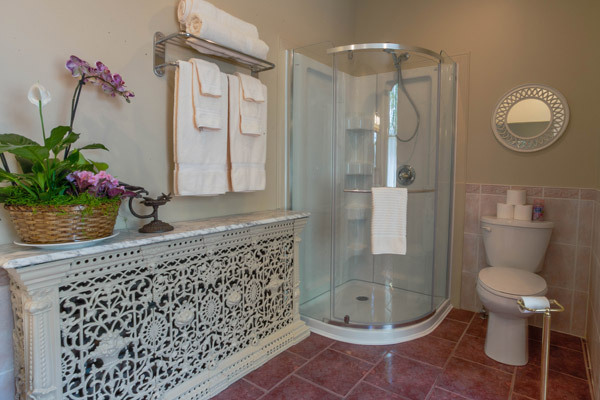 The grand ensuite features a private bath including a large Jacuzzi tub and separate shower stall to pamper ones self. Relax after an enjoyable day with our large Jacuzzi tub in suite.